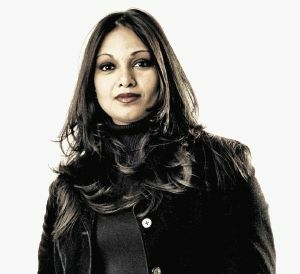 Krijay Govender has been voted by the media as “one of the funniest woman in South Africa“ and has been nominated as Mzansi’s Top Comedian (Mzansi awards). 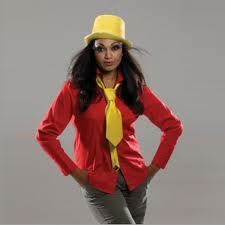 She is one of two professional female comedians and has been rated as one of the top three MCs in SA. (Gwen Gill column, Sunday Times). She works extensively on the corporate and business scene - from hosting events for Government/Business in London to awards ceremonies and conferences that have featured VIP including FIFA and Heads of States. Besides her stand up comedy career, Govender is an award winning actress, playwright and director on stage and screen (Font, Isidingo). Krijay can also write comedy, motivational pieces, Women's Day tailored entertainment (skits and comedy) and perform. After directing Isidingo (2 SAFTAs for direction) and the hit series Ubizo, Govender directed Rhythm City and the final session of City Sesla. She currently directs THE WILD for Mnet. She is also an awarding winning playwright (Women in Brown). She has worked as a radio presenter and a columnist in the print media. She is a published academic.